WENTWORTH, Sir JOHN, office holder and colonial administrator; b. 9 Aug. 1737 in Portsmouth, N.H., the elder surviving son of Mark Hunking Wentworth and Elizabeth Rindge; m. 11 Nov. 1769 in Portsmouth his cousin Frances Deering Wentworth, widow of their mutual cousin, Theodore Atkinson; d. 8 April 1820 in Halifax, N.S., leaving one legitimate and one illegitimate son. After an uneventful career at Harvard College, where he graduated ba in 1755 and ma in 1758, John Wentworth returned to Portsmouth and entered his father’s merchant house, on whose behalf he travelled to England in the early 1760s. There he successfully sought the patronage of Charles Watson-Wentworth, Marquess of Rockingham, for himself and his family. During his sojourn in London he also represented the colony of New Hampshire, in which his family had been prominent for three generations, as an official spokesman against the Stamp Act in 1765. He was on hand for the exposure of the misdoings of Benning Wentworth, governor of New Hampshire and surveyor general of the king’s woods in North America. The incident proved to be a fortunate turn of events since John was chosen to succeed to his uncle’s offices in 1766. It was not in the younger Wentworth’s nature to take lightly the responsibility of these virtually hereditary positions. On his return to America he applied himself with great assiduity and judiciousness to the enforcement of the reservation to the Royal Navy of all trees suitable for ships’ masts, displaying a taste for pioneer travel and an adaptability to frontier conditions which stood in sharp contrast to the ostentatious display that accompanied his governorship. 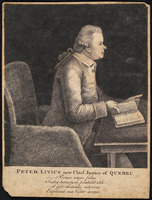 With the help of his English supporters, Wentworth managed to defend himself in 1773 against the most serious challenge to his administration, a charge of corruption made by one of his former councillors, Peter Livius*. At the same time the governor retained his popularity at home, being endowed with a genuine common touch that strengthened his social relations with the colonists, and with sufficient influence and power to enable him to treat successfully with the critics of his family’s oligarchic control. Eventually, however, the dissatisfaction with Wentworth’s administration ripened into, and was joined by, opposition to British policies. By 1775 the governor’s relations with the House of Assembly, which had embraced the revolutionary cause, and with the town of Portsmouth, which chafed under British naval surveillance, finally and irrevocably broke down. He fled to Boston, Mass., next to Halifax, and then to New York City where he organized a company of loyalist volunteers in 1776. 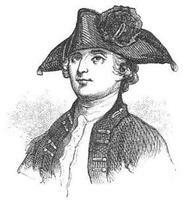 His active military support of the British earned him the proscription of the Continental Congress. Shortly after he sailed for England in 1778, the New Hampshire legislature passed a bill of attainder against him. In England for the next five years the erstwhile governor and absentee surveyor resumed his relations with the Wentworth nobility, enjoyed a pension in recognition of his loyalty to the crown, and served on the board of loyalist agents. The office of surveyor general for North America was briefly abolished in 1782, but the return of Charles James Fox and Lord North to political power saw Wentworth reappointed and dispatched to Nova Scotia in 1783. Further advancement, particularly the coveted governorship of Nova Scotia, eluded him, but he became a familiar and well-respected figure in that province and the surrounding colonies as he regularly traversed the forests to oversee the protection of white pine and to reserve what he considered to be fine quality timberland for the use of the Royal Navy. He claimed that he did his utmost, as he had been instructed, to avoid interfering with the settlement of loyalist refugees, many of whom were completely destitute. 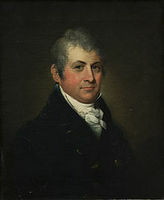 Indeed, he considered mast policy and settlement policy perfectly compatible in circumstances where “the best timber, especially pines, seldom grow on the best land.” Between his expeditions into the wilds he flourished on the fringes of Halifax society, avoiding the quarrels and intrigues of the hectic 1780s. He made his residence in a rural situation on Bedford Basin known as Friar Lawrence’s Cell. None the less, he naturally remained ambitious for a more eminent situation. Frances, too, despaired of her fate as wife of the surveyor general, a position that not only lacked lustre but also took her conscientious husband away from home for months at a time. The liaison that developed between Mrs Wentworth and the young Prince William Henry during the 1780s when he visited Halifax with the North Atlantic squadron was an attempt to escape the loneliness and the tedium of a society that was beneath her contempt. It illustrates the liberalized relationship she and John maintained, which included extramarital affairs for both in a style typical of the most civilized as well as the most debauched of Georgian aristocracy in England. 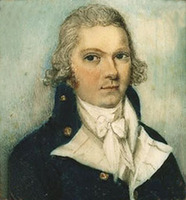 “Governor” Wentworth, as he continued to be styled, happened to be in London in 1792 attending to his normally chaotic financial affairs when the news of the death of Lieutenant Governor John Parr* late in 1791 provided him with the opportunity to press his case for the appointment. The subsequent choice of Wentworth as lieutenant governor was universally welcomed because of his amiable personality and proven loyalist principles; above all, his background and experience provided Nova Scotia with an administrator of tried ability. The 1790s proved to be a rewarding decade as Sir John (created a baronet in 1795) joined the efforts of the executive with those of the assembly and successfully pulled Nova Scotia out of stagnation, expunging the public debt by 1797, yet, in the absence of surplus revenue, avoiding the inevitable quarrel over appropriations until the turn of the century. Wartime trade and privateering occasioned a general return to prosperity. The capital, and especially the Wentworth household, glittered with the social events attending the frequent visits of Prince Edward Augustus, commander-in-chief in Nova Scotia, who schemed with Sir John for the division between them of the civil and military administrations of British North America and used his friend’s suburban retreat as one of his abodes with his French mistress, Thérèse-Bernardine Mongenet*, known as Mme de Saint–Laurent, during the years of his Nova Scotian and British North American commands, 1794–1800. The 1790s, however, also provided challenges and disquietude for the lieutenant governor. Amongst the former, the unexpected addition to the population of the maroons, expelled en masse from Jamaica as punishment for their persistent guerrilla warfare against authority, preoccupied his public attention for much of the period from 1796 to 1801. He tried unsuccessfully to settle the blacks as Christianized farmers and labourers. In a pig-headed fashion, spurred on by what one historian has infelicitously described as a “search for life’s merit badges,” Wentworth pursued his plans for permanent, segregated settlement in Nova Scotia in opposition to the preferences of the Jamaican commissioners, the settled populace, and ultimately the maroons themselves. To realize his misguided object, Wentworth lavished public funds on feeding, placating, and charming the maroons. 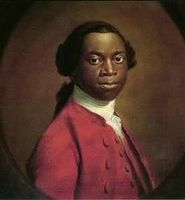 In these circumstances the Duke of Portland, the Home secretary, seized with enthusiasm the offer of the Sierra Leone Company to provide a tropical home for the maroons, as it had for the black loyalists of Nova Scotia before them [see David George; Thomas Peters*]. 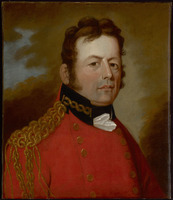 Wentworth had no choice but to see that all the maroons were packed off to Africa and to sit by while his official salaries were debited to cover such expenses as cocked hats, scarlet cloth, and gold lace for the uniforms of the maroon regiment of militia formed for service in Nova Scotia, as well as brandy and tobacco for the comfort of the hapless exiles on their voyage. Meanwhile, for a man of Wentworth’s temperament and recent experience in the American colonies, the outbreak of the French revolution and subsequent Anglo-French wars took on more than a mere strategic significance. Admittedly, the initial fear of French attack elicited a conventional response from the lieutenant governor. With little concern for the high cost of his actions, he called out the militia, raised a new regiment – the Royal Nova Scotia – and placated the poverty-stricken, roving Indians, who were always regarded in wartime both as a terrorist threat and as potential French allies. But far more unsettling was his apprehension of the enemy within – disloyal elements with overtly democratic aspirations. Steadfast supporters of church and state such as Wentworth made little distinction between disloyalty and dissent: the heretical notions of dissenters on church and state were thought to pose a threat to social and political order. 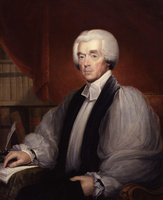 Wentworth’s rhetoric, like that of Bishop Charles Inglis, did not fail to single out religious dissenters as potential subversives, but it was more particularly directed at political dissentients, especially William Cottnam Tonge*, who challenged executive supremacy in government and drove the governor to the kind of autocratic excesses that served only to hasten his official demise. The struggle between Wentworth and Tonge, a pre-loyalist from Newport, broadened into a constitutional struggle between the governor-in-council and the House of Assembly and marred much of the last decade of the Wentworth administration. It occurred against the background of a more fundamental socio-economic conflict. Wentworth, not surprisingly, surrounded himself with loyalists who had had to wait until his advent to power for their fair share of place and influence. 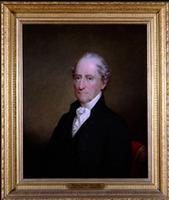 He made no attempt to conceal his favouritism, which also included the usual Wentworthian nepotism: the calling of his brother-in-law Benning Wentworth and his own son Charles Mary Wentworth to his Council and their appointment as successive provincial secretaries. More neglected by Wentworth than the non-loyalist elements, however, were the country interests, whose preferences invariably ran counter to the mercantile preoccupations of the capital and to the control it exercised. Although Wentworth’s varied experiences and intimate acquaintance with the province as surveyor general should have made him sympathetic to other sectors of the community, the “merchantocracy” had the ear of a man who had been trained in his father’s counting-house and for whom the encouragement of large-scale commercial ventures was a source of challenge. Contemporaries such as Lord Dalhousie [George Ramsay*] believed that Wentworth was the innocent dupe of certain merchants more astute and cunning than himself. Certainly he relied on the friendship of such ambitious loyalist entrepreneurs as Lawrence Hartshorne* and Michael Wallace*, whom he promoted from the assembly to the Council and subsequently remembered affectionately in his will. Whatever the wider causes, the rivalry with Tonge for political leadership appears to have been fired by personal animosity. For some inexplicable reason Wentworth seems to have taken a decided aversion to Tonge. Their relationship got off to a bad start as early as 1792 when Wentworth’s personal nominee for the position of naval officer in Halifax lost to this upstart son and deputy of the former incumbent, Winckworth Tonge*. Since the reformist element in the assembly was to collapse after Tonge’s departure from Nova Scotia in 1808, Wentworth made no mistake in recognizing this man as the leading inspiration of the anti-government faction. In particular, Wentworth was distressed by Tonge’s resort to the kind of political clubs favoured by contemporary English radicals during election campaigns, and by his clever electoral tactics, especially when he ran and won in Halifax County in 1799 despite his failure to satisfy the property qualification. Above all, Wentworth firmly believed that, as a public servant, Naval Officer Tonge had no right to oppose government policies, the only alternative to active support being discreet neutrality. Far from taking either course, Tonge led the assembly to pass consolidated appropriation bills and challenge the governor’s right to interfere in financial matters, particularly the assembly’s appropriations for roads and bridges. Wentworth responded with stunning ineptitude and lack of constitutional acumen: in 1804 he claimed the sole right to appropriate colonial revenues; in 1806 he rejected the assembly’s nomination of Tonge as speaker and claimed the authority to decide the outcome of contested elections; in 1807 he dismissed Tonge from the naval office. His increasing extremism and the prospect that an Anglo-American conflict would require a military governor were responsible for Wentworth’s peremptory removal from office in 1808 and his replacement by Prevost. This blow was a final one in a series of misfortunes and disappointments since the optimistic days of the early 1790s. The scandal surrounding his excessive expenditure on the maroons, defence, and a new government house had led Wentworth to fear in 1801–2 that he would be demoted to a West Indian post. 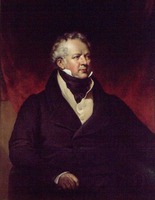 Appointment as governor general of British North America did not materialize despite continued English patronage in the person of Rockingham’s nephew, Earl Fitzwilliam, and the steadfast support of the Duke of Kent [Edward Augustus], who pressed Wentworth’s case on the Prince Regent. Wentworth’s personal financial affairs had also been a disaster. Many years before he had been disinherited by his governor uncle in favour of a young wife; the dispossession occasioned by the revolution had been followed by a more shattering disinheritance, that by his own parents. Parliamentary compensation for his losses as a loyalist was swallowed up by debts to his English agent and kinsman Paul Wentworth. While he was lieutenant governor, his loss of salary as a result of over-expenditure not only caused him financial embarrassment but carried with it the suspicion that he had misappropriated public funds. Both the British government and the Nova Scotia assembly, however, granted him annuities for life which enabled him in 1810 to take the ailing Frances to England where she died in 1813. Meanwhile Wentworth was forced to leave England in 1812 in order to escape his creditors, who were clamouring for the payment of his debts. Out of necessity he returned to Nova Scotia where he could continue to draw the much needed surveyor general’s salary. A stroke in 1816 largely incapacitated him. He sank under his distress, as popular sentiment would have it, at the news of the deaths of the Duke of Kent and George III in the spring of 1820, and was buried beneath St Paul’s Church in Halifax. The record of Wentworth’s career in Nova Scotia might have been more flattering if he had served a normal length of term as colonial administrator. Sixteen years gave him enough rope with which to hang himself. His many years of prominence in the province exposed his weaknesses to friends and advisers and they did not scruple to use his good services for their own ends. Over the years he remade the Council in his own image and by 1800 revealed his determination to pay scant attention to the assembly in affairs of government. Such a reactionary constitutional stand was bound to excite critics even without the additional element of the governor’s feud with Tonge. Arguably, Wentworth’s inflated notion of the governor’s prerogative, his worst fault, could have been derived as much from a reading of supposed British intentions for British North America as from any inherent extremism in his nature. Equally important for a loyalist, however, was the fear that forces unleashed by the American revolution and carried forth by the French would, in the absence of vigilance and suppression, undermine the status quo. Margaret Ells summed up Wentworth’s weaknesses and over-reactions when she accused him of losing “all sense of proportion.” Yet despite the stormy final years of his administration, Wentworth was by all accounts a well-beloved governor, a kind, charming, earthy little man, devoted to the service of his monarch and hospitable to citizen and stranger alike. Halifax County Court of Probate (Halifax), Book 4: 54–55 (will of John Wentworth) (mfm. at PANS). Leeds City Libraries (Leeds, Eng. ), Rockingham papers, corr. 1776-812, Sir John and Lady Frances Wentworth to Lady Rockingham and others (copy at PANS). Northamptonshire Record Office (Northampton, Eng. ), Fitzwilliam (Milton) papers. PANS, MG 1, 939–40; RG 1, 49–54; 139: 55; 214: 367; 227: doc.132; 328: doc.16. PRO, AO 12/12: ff .l–11, 16–19; 12/62: f.1; 12/104: f.71; 12/109: 320–21; AO 13, bundle 40: ff.244–483; bundle 53: nos.479, 499; CO 217/ 63–90. Portsmouth Athenaeum (Portsmouth, N.H.), Peirce papers, corr., 1763–1803 (copy at PANS). Sheffield City Libraries (Sheffield, Eng. ), Wentworth Woodhouse muniments, Sir John and Sir Charles Wentworth, corr. ; Fitzwilliam papers (courtesy of the trustees of the Fitzwilliam Wentworth Estates and the director of the Sheffield City Libraries). SRO, GD45/3/541, 6 June 1818; GD45/3/543, 9 April 1820. The correspondence of George, Prince of Wales, 1770–1812, ed. [Arthur] Aspinall (8v., London, 1963–71), 3: 21–23. [William Dyott], Dyott’s diary, 1781–1845: a selection from the journal of William Dyott, sometime general in the British army and aide-de-camp to His Majesty King George III, ed. R. W. Jeffery (2v., London, 1907), 1. DAB. DNB. Shipton, Sibley’s Harvard graduates, vo1.13. 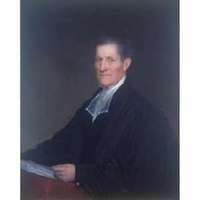 John Wentworth, The Wentworth genealogy: English and American (3v., Boston, 1878). R. G. Albion, Forests and sea power: the timber problem of the Royal Navy, 1652–1862 (Cambridge, Mass., 1926). J. R. Daniell, Experiment in republicanism: New Hampshire politics and the American revolution, 1741–1794 (Cambridge, 1970). Fingard, Anglican design in loyalist N.S. Mollie Gillen, The prince and his lady: the love story of the Duke of Kent and Madame de St Laurent (London, 1970). L. S. Mayo, John Wentworth, governor of New Hampshire, 1767–1775 (Cambridge, 1921). M. B. Norton, The British-Americans: the loyalist exiles in England, 1774–1789 (Boston and Toronto, 1972). K. E. Stokes, “Sir John Wentworth and his times, 1767–1808” (phd thesis, Univ. of London, 1938). J. [E.] Tulloch, “Conservative opinion in Nova Scotia during an age of revolution, 1789–1815” (ma thesis, Dalhousie Univ., Halifax, 1972). Susan Whiteside, “Colonial adolescence: a study of the maritime colonies of British North America, 1790–1814” (ma thesis, Univ. of B.C., Vancouver, 1965). R. W. Winks, The blacks in Canada: a history (London and New Haven, Conn., 1971). Philip Ziegler, King William 1V (London, 1971). [A. G.] Archibald, “Life of Sir John Wentworth, governor of Nova Scotia, 1792–1808,” N.S. Hist. Soc., Coll., 20 (1921): 43–109. Margaret Ells, “Governor Wentworth’s patronage,” N.S. Hist. Soc., Coll., 25 (1942): 49–73. Judith Fingard, “WENTWORTH, Sir JOHN,” in Dictionary of Canadian Biography, vol. 5, University of Toronto/Université Laval, 2003–, accessed April 24, 2019, http://www.biographi.ca/en/bio/wentworth_john_1737_1820_5E.html.